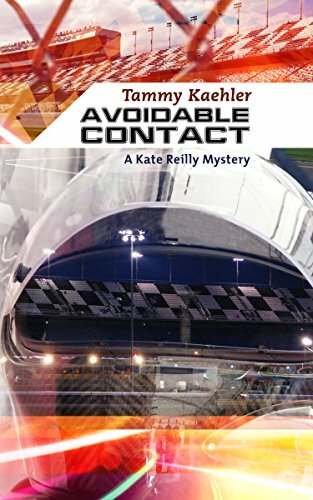 Professional racecar driver and accidental sleuth Kate Reilly faces her third mystery, this time during the famous 24 Hours at Daytona endurance race. Unlike in the previous volume, wherein Kate was being persecuted and discredited, this time she’s on top: a great track record, fabulous car and team, high esteem among her peers and fans—and, as a bonus, she sets the fastest lap time in her class during the big event. At this, the most important race of her career, a perfect storm of bad things happens. Her boyfriend is struck down and severely injured in a hit-and-run outside the track the morning of the race. Clues point to the likelihood that the attempt was intentional and made by someone associated with the event. Then, during the race, a beloved colleague is killed on the track—again, seemingly intentional, although nothing can be proved. On top of that, all of Kate’s newly found family members are lurking everywhere, on track or off, and possibly involved in the attacks. What can she do about any of it when her job is to perform multiple, multi-hour stints in the car at speeds requiring intense concentration and no emotional distress? Well, she can ask questions, look sharp, and drive hard. All of which she does, while the plot thickens and clues build. The action remains inside the raceway boundaries, and start to finish of the mystery coincides with the 24 hours of the race. This combination keeps the story tight and focused, with enough going on to keep the reader alert. Since the last adventure in this series, Kate, her team, and the author’s writing all have matured. Kaehler brings a confidence to the story that makes it work, setting it solidly in the racing milieu rather than letting it be a just setting for a mystery. The racing itself is a bigger player in this volume, with time spent behind the wheel nicely balanced against Kate’s time figuring out whodunit. Whatever liberties are easy to forgive, because she keeps the racing businesslike. Since the book is for a general audience, on-track time is limited, and proportionally correct. Kate’s attitude about racing is (1) she does it because she loves it, and (2) it’s what she’s paid to do. Given the emotional strain she has to handle, a gripping conflict is created between dealing with the pressures and dangers of high-speed autosport and dealing with personal crisis. As well, the driving is presented realistically, not romantically or melodramatically. Readers learn that getting a car around a course—even at the highest level—is all about controlled physics, attentiveness, and advanced athletic skills. Perhaps most convincing is that the drivers and teams achieve realistic finishes through realistic efforts. The mystery part of the story isn’t quite as persuasive, but the pieces hold together. Kate shows very female emotional reactions to the storm she must weather, but in the end her rationality rules and she responds to off-track jeopardy as professionally as she faces on-track danger. The author leaves us with good launch material into the next volume. Assuming the growth trend continues and the plots remain imaginative, then this will be a solid series to follow.